Spikers battled it out against rivals Lake Orion and lost for the fourth time on Sept. 26, 3-0. The Lady Dragons opened the first game with six points and the Clarkston Varsity Volleyball slowly added points. They closed in when senior Corrin Gualtieri scored putting the score 21-15, starting a six-point run for the Wolves until they were tied with Orion. Lake Orion broke the tie only for Kayla Luchenbach to bring the score to 22-22. Clarkston took the lead with a hit from Abbey Malinowski, 24-23. The Dragons scored the next two points to win the game, 25-23. The Wolves opened the second game with the first three points with one from a block from the duo of Luchenbach and Sierra Kersten. Lake Orion put two points on the board before Olivia Johnson scored on for Clarkston to slow down their opponents. Each team scored a round of points before the other team slowed them down with their round of points before Lake Orion tied the game at 16 points. 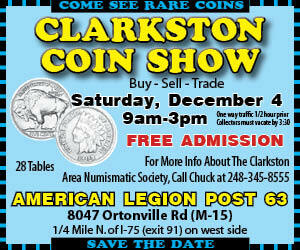 Clarkston rised, scoring three points with two from a block by Gualtieri and a hit from Malinowski. The hosts scored one more point before the Wolves put three more on the board. Orion closed in again with side out calls in their favor putting the score at 23-23. They made the final two points to win, 25-23. The Dragons finished the night winning the third game, 25-12. Malinowski, one of the ten finalists for Michigan’s Miss Volleyball, led the team with 11 kills, 14 digs, two aces and two blocks. 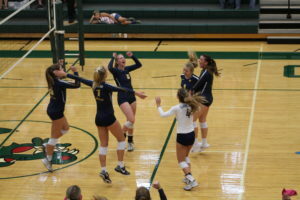 Clarkston followed the loss with a 3-0 win over Birmingham Seaholm last Thursday, 25-22, 25-11, 25-12. The Lady Wolves (21-9, 4-1 OAA Red) opened the week on Tuesday against Bloomfield Hills and head to Oxford on Thursday. JV begins at 5:30 p.m., varsity follows. They close the week at the Marian tournament on Saturday. The Clarkston Freshman Volleyball team battled close games against Lake Orion and defeated the Dragons, 2-1. They won the first game, 25-23, before Lake Orion tied the series with their 25-19 win. The Lady Wolves finished with a 25-18 win in the third game.